Secret Military Documents of Turkey’s Reyhanli explosion was hacked and Leaked online by a Hacker group Redhack team online at their own blog, after that this news become hit and a Turkish website released a news about that. 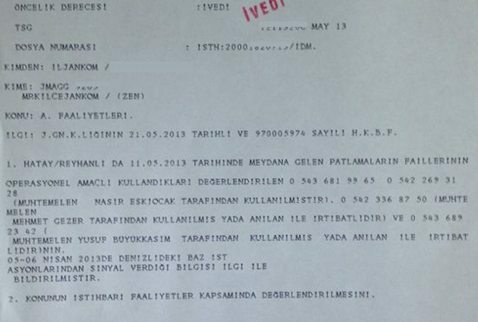 Earlier the Ministry of Foreign Affairs and the Interior, the Turkish Armed Forces, National Police and even hacking into websites Redhack attacks today at noon on twitter Reyhanlı hands of the Gendarmerie Intelligence Department announced that a number of classified documents. Red Hackers will share these documents explained later. 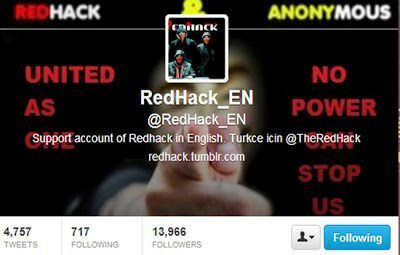 Redhack about 2 hours later, “Reyhanlı’da what happened? What’s going on? Here is the answer to these questions is” throwing the tweet, shared documents allegedly belonging to the Gendarmerie Intelligence Department. documents, to be delivered to the pro-al-Qaeda groups in Syria bomb allegedly prepared by Syria of these tools are given tools to search for information in detail is remarkable. Redhack’in published documents also those plans, was obtained on April 25, and the Syrian ‘ The most effective armed opposition groups in El Nusra’nın, three vehicles placed bomb assembly for use in an action against Turkey in line with the information carried by that phrase is remarkable. Received e-mail passing through the Hatay Reyhanlı the explosion of a Gendarmerie Intelligence Department of the Presidency in the “secret” documents published. Public as to Reyhanli not just bombs, sunsur also killed. If you have already received intelligence officials bombs ” purely want a war , “he among the people if you release, the case someone disrupts your game. truth, someone lazimdi transport, we’re doing it. ‘re not scared because cowards unforgiving life. Also see– Hackers leak 120,000 student records in raid on world’s top100 university.